The polar pattern provides a generous pick up response at the direct and off-axis sections of the microphone capsule. This enhances sensitivity and minimizes noise associated with movement, wind and clothing contact. The TR50 features minimum sound coloration and is available in a variety of connectors for direct integration with wireless transmitters. This version features a TA4 connection for use with Vega wireless transmitters. The TR50 is powered by your Vega transmitter, but can also be hard-wired with the assistance of the TR79 power supply, not included. 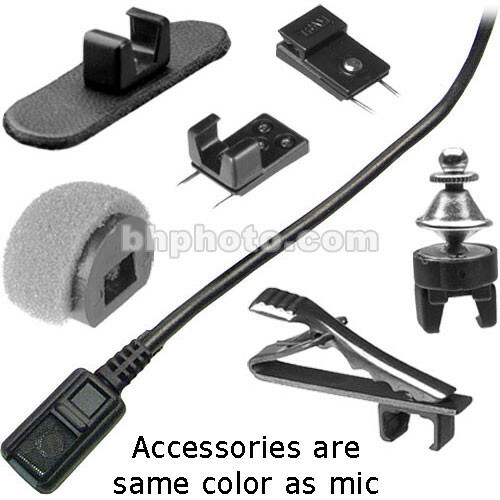 The TR79 accepts external Phantom power or uses internal battery power. Box Dimensions (LxWxH) 5.1 x 3.0 x 0.9"